Air Force Major Sujono was the only witness in the trials against Njono and Untung that spoke about the presence of PKI leader Aidit at Halim airport on 1 October 1965. His testimony is packed with mistakes unmasked by Untung. The lies, twists and spoils he produced probably reflect his tension. Sujono’s statement that the meetings started on 6 September 1965 is fascinating, since Untung and all the other attendants said the meetings started in August, most likely on 14 August (Perkara Untung: 91). It is unclear why Sujono mentions a different date but it illustrates the way he rummaged with data and events in court. Speaking about the events surrounding Aidit’s presence and role at Halim airport on 1 October 1965, this became obvious. Initially he told the court that on 30 September 1965 General Supardjo visited Central Command Penas on his own at 8 PM after his arrival from Kalimantan, which Untung corroborated. But later he said it happened at 1.30 [probably afternoon] (Perkara Untung: 95, 115, 118). Supardjo arrived in a small sedan and had informed Sujono that he was to pick up Aidit and General Pranoto and bring them to Sjam’s house where they were informed that Aidit was to be brought to Halim. The remaining part of Sujono’s testimony does not mention Pranoto, but focuses on Aidit’s transport. Neither Untung nor other witnesses refer to Pranoto accompanying Aidit to Halim, hence his presence is debatable. The car that brought Aidit to Halim was a small Toyota sedan from the Ministry of Foreign Affairs and was driven by Air Force 1st Sergeant Muljono. For the occasion the driver had been made Minister Subandrio’s personal representative (Perkara Untung: 95-6). The suggestion is raised whether Subandrio, who was in Sumatra at the time, knew about Aidit’s presence at Halim and changing the meeting place from the palace to Halim. However, Untung denied this when questioned by his lawyer about it. He simply stated that on 30 September he was at Penas, i.e. the command center in Jakarta, with Supardjo, Sjam and Pono whereas Sujono was at the base camp Lubang Buaja (Perkara Untung: 118). Although he did not mention the time of the meeting, his answer concerned Sujono’s statement about Supardjo’s whereabouts on the evening of 30 September. Thus, the meeting between Sujono and Supardjo could not have taken place. The question is who ordered Aidit’s transport to Halim and who escorted him? In his own trial, Sjam gave one answer. He told the court he had ordered Sujono to bring Aidit to Halim (Roosa 2006, Appendix II: 258). Possibly Sujono hid his connection with Sjam, with whom he had worked together since July 1965. He did the same when he denied having attended the team meetings about the Revolutionary Council (Perkara Untung: 99). The question whether Subandrio was involved in the transport or not remains unanswered. Sujono’s suggestive but unfounded testimony about Subandrio’s connection to Aidit’s presence at Halim was not corroborated by others. The attention Sujono gave in his testimony to Supardjo’s role in the 30 September events in his testimony is intriguing. First there is Sujono’s witness statement that Supardjo told him on the evening of 30 September that the president would be expected at Halim the next morning between 7 and 8 AM (Perkara Untung: 116). The second and related fact is that Supardjo arrived at the palace port in Jakarta in the morning of 1 October at 8 AM, along with Lieutenant Colonel Heru Atmodjo, an observant from Air Force Marshall Omar Dani. They intended to meet with the president. However, they were refused entrance and it took some time before they were notified that the president was at Halim, and it took even longer to get there and meet the president. Hence, Sujono’s statement about Supardjo’s information regarding the president’s whereabouts the next morning was beside the point. Sujono once again mixed up his testimony when he said that on the morning of 1 October, he encountered four officers that were supposed to meet the president – General Supardjo, Major Bambang, Major Sukirno, and Lieutenant Colonel Heru Atmodjo. When Sujono asked them what they were up to, they replied they were on their way to the palace (Perkara Untung: 116). Apparently, the four men were not informed about the changed meeting point, which contradicts Sujono’s statement about Supardjo’s order. Supardjo’s evaluation of the G30S in Roosa’s book states that he met with the team on the evening of 30 September, which corroborates Untung’s statement, and discussed the actions of the next day (Roosa 2006: 228). If that meeting did indeed take place, it is difficult to understand why none of the team members informed him of the change in the meeting place and time, or discussed what to report to the president. After all, he was a key person in the reportage to the president. The information reveals chaos and sloppy preparations for the abduction of the generals in the days before 1 October and on the morning of that day. The court did not dive into this puzzle. They simply added the names and the context to their evidence list for subsequent trials. There is no connection between Supardjo’s view of the events of the evening of 30 September in his evaluation of the G30S and the evidence provided by the Untung minutes. I found no disproof of Aidit’s presence at Halim, and encountered no references to Aidit’s role in the formulation of Decree No. 1. Neither the court nor the defense questioned Sujono about this matter. However, Aidit’s presence at Halim would have enabled him direct and personal contact with Sjam about the G30S, Decree No. 1 and the Revolutionary Council. Indeed, in his coup testimony Sjam explained Aidit’s presence at Halim as “to facilitate the connection between central command [cenko] and Aidit, and for control over the movement’s plan (Roosa 2006: 258).” In the end, Aidit did not meet the president at Halim. In the afternoon of 1 October, after the broadcast of Decree No. 1, news broke that the decree was viewed as counter-revolutionary (Perkara Untung: 75). General Suharto’s coup accusation against the G30S on that same evening confirmed that message. Aidit flew to Jogjakarta, without the chance of returning to Jakarta. It looks as if he had lost control of the situation and fled to a safe haven in Central Java in a panic. He was captured in November 1965 and was unceremoniously executed and buried in a forgotten place. His testimony would have been painful for the G30S trials since he knew about the Council of Generals and had all the available information about their plans. At this point it is important to realize that the courts did not get into the question of the existence of the Council of Generals and the coup plan, but cautiously evaded the whole subject. Initially Untung helped the court by stating that he had no solid evidence of the Council of Generals’ coup plan. However, later he had Rudhito, his infiltrator in Nasution’s office, testify about the recording of the founding meeting of the Council of Generals on 21 September. The court countered Rudhito by producing the minutes of the meeting which showed the meeting was about the curricular preparations for the Tri Ubaja Sakti doctrine. Moreover, further investigation of the Council of Generals’ coup plan would have undermined the aim of the G30S trials and would have involved the president, who was still spared from suspicion and accusations against him in 1966 and 1967. After the 7 AM News on 1 October 1965, Untung broadcast a message written by himself via radio RRI Jakarta. It explained that he, as a member of the Tjakrabirawa palace guard, had rescued the president from the Council of Generals’ coup plan (Perkara Untung: 86, 87). This message has caused wonder since it significantly differs from the decree text broadcast after the 2 PM News. The two messages reflect the division of labor in the team. Untung organized and executed the abduction of the generals and made it public via radio RRI Jakarta. Sjam was responsible for the G30S, the Revolutionary Council and Decree No. 1, and reported to the Presidium of the G30S and presumably to PKI leader Aidit. After Untung’s radio message, General Supardjo and Lieutenant Colonel Heru Atmodjo, representative of Marshall Omar Dani, were ordered to report to the president. Due to the misunderstanding about the place and time of the meeting, the reportage eventually took place at Halim somewhere between 9 and 11 AM. They met with the president and Untung’s regiment commander General Sabur. Supardjo presented the president with his evidence about the danger of the Council of Generals, the abductions and the plans for the Thirtieth September Movement and the Revolutionary Council. The president reacted calm and neutral, and after some reflection on the information he received, he put a stop to the troop movements and the activities planned by the G30S (Perkara Untung: 33-4). He refused Supardjo’s request to approve the actions, but did not condemn them either. Untung obeyed the president’s order with regard to the troops and instructed his aid de camp 1st Lieutenant Dul Arief to bring the troops back to base camp. It robbed the G30S from its troops, and the Revolutionary Council from its defense force. Untung, wanting the G30S to end, must have been pleased. It appears as if Untung thought that transferring the president’s order to Sjam, Supardjo and Heru would be enough to stop the preparations for the broadcast of Decree No. 1, the G30S’s political program. However, Sjam refused to accept the stop order. He pressed on with the decree’s broadcast and discussed the text changes necessitated by the order with Untung, Supardjo and Heru (Perkara Untung: 34, 52-3). Apparently Sjam still counted on the president’s cooperation since he had not condemned the G30S and in his own broadcasts of that day did not mention the G30S or any coup attempt. It indicated that the president was working on a political solution, which gave the group time to discuss a proper reaction that would not endanger the president’s position. Sjam pushed for continuing with the operation and Untung does not mention any protest from the military team members or Supardjo in his testimony. Supardjo’s evaluation contained in Roosa’s book (2006) does not mention the discussion at all. Why would Sjam have insisted on the broadcast of Decree No. 1? And were changes made in the text of the decree? The best way to answer these questions is to present the main parts of Untung’s court interrogation about the final text. Untung’s minutes provide a thrilling picture of the discussion between Untung and the court about the puzzle surrounding the broadcast of Decree No. 1. It shows Untung’s subservient position in the G30S and the depth of the disagreement with Sjam about the goals of the operation and the role of the president in it. It was clear to Untung that the president’s stop orders had to be obeyed. Since Supardjo had asked the president to approve the abduction of the generals, it is plausible that Sjam’s draft of the decree, would have mentioned the president. Because the president did not give his OK and instead stopped both actions, the main discussion point was what to do? Continue or not? Not going forward created a problem because, according to witness 1st Lieutenant Ngadimo, starting mid-September a range of selected mid-level and lower rank commanders in the regencies of East Java had been urged to listen to radio RRI Jakarta since there would be an announcement about the erection of the Revolutionary Council in Jakarta (Perkara Untung: 126-7). The chair’s first question was “who planned the text of Decree No. 1”? To which Untung replied “Sjam did”. The chair continued “Thus you only signed the decree, since before it had already been decided that you would become commander of the G30S”? Untung answered “Yes. But there had already been discussion about the text of the Decree”. The chair asked “who included the terms regarding the meaning and purpose of “decommissioning the cabinet”? Untung replied “it was Sjam who edited the decree as a whole”. The chair subsequently asked “Hence it was Sjam who so zealously conceived of the intention that the generals should be cleared away and the like, and that the power would fall into the hands of the Revolutionary Council causing the Dwikora cabinet to become decommissioned?” Untung answered: “Yes, with the suggestions of the people that attended the meeting”. The chair continued “The authority of the Dwikora cabinet reached from Sabang to Merauke, whereas you only covered Jakarta and environment, but the Decree promised to form revolutionary councils in every region of the Republic of Indonesia. Who for example said that regional revolutionary councils would be formed in the regions and that there would be no problems?” Untung explained that “Decree No. 1 would call on the regions to constitute revolutionary councils in their jurisdiction. There was evidence that it would work, depending on the region. In the meeting Sjam had assured the regions would join in the moment the Decree was published.” The chair asked Untung “how could Sjam be so sure”? Untung answered that “Sjam said nothing about the reasons behind his conviction. He only said that he had the information.” The judge asked “As a commander, did you not have to know what the real situation was in the regions?” Untung answered that “to me the formation of regional revolutionary councils was not the first priority. First priority was the cleanup of the Council of Generals. That was the prime purpose of the G30S.” (Perkara Untung: 51-2). A statement similar to the last one can be found on page 35 of Untung’s minutes. The judge replied that “the Decree showed that the aim of the G30S was broader than just the cleanup of the Council. There was also decommissioning the Dwikora cabinet. If that was not your prime aim, why did you not change the text of the Decree?” Untung answered that “The cleanup was the prime purpose. To that aim the decommissioning of the cabinet was necessary, in order to prevent two state organizations [i.e. revolutionary council and the cabinet, C.H.] from competing for power. That would hamper the cleanup.” The chair then asked Untung “Hence the Revolutionary Council would dictate the Commander in Chief, President Sukarno”? Untung answered “No”. The chair continued “why was the Decree broadcast after the president had seized power?” Untung replied “the president had to be saved. Finishing the cleaning task was the work of the Revolutionary Council. After finishing that job, the leadership would be returned to the president (Perkara Untung: 51-3).” In this last statement we again recognize Aidit’s point of view that as long as the president was not absolutely safe, the greater cause was the president’s safety, not his orders. Untung’s stance regarding the priorities of the G30S is reflected by his responses to Sjam’s ideas from the start. His own plan was to get rid of the top of the Council of Generals and then hand the case over to the president. He went along with Sjam’s plan for a G30S that would put the Revolutionary Council in place, because it was fine with him if the council finished the job. The remaining part was unnecessary. His argument might have been that as soon as the president stepped in and reliable commanders and governors replaced the removed ones, any further cleaning of the Council of Generals’ clientele in the regions would be the president’s task. On the other hand, it is conceivable that Sjam in his turn really was convinced that the regions would cooperate. We know the real outcome. That same eve, General Suharto condemned the G30S as a coup attempt and started a relentless and murderous war on its legacy and that of President Sukarno. Roosa’s picture of the discussion is interesting: “The military officers in the movement who were meeting at Halim (Untung, Latief, Sujono) were ready to call off the operation before they knew about Suharto’s counter attack. Sukarno had instructed them to quit late that morning. Unlike Aidit and Sjam, they were willing to abide by the president’s instructions.” and “The officers were already angry with Sjam for betraying their original intentions with his radio announcement decommissioning Sukarno’s cabinet” (Roosa 2006: 221, 222). Roosa gives no source references nor do Untung’s minutes. However Untung’s statements contain ground for some doubts about Roosa’s judgment. Did Untung’s team ever opt for a coup? Two last puzzling elements in the history of the G30S and the Revolutionary Council remain. The man who read the decree text after the 2 PM News and protested against the absence of the president’s name in the text, was forced to read it with the explanation that “the president was not in power anymore”. This situation refers to at least a coup intention and had already been touched upon by Sujono when he told the court that Latief and Sjam had once stated in a meeting that the president should be pushed aside (menggeser), and that Untung seemed to agree with that view. Sjam had promised to pass the idea on to his chair – PKI leader Aidit. However, no matter the answer, it would not change anything in the setup of the G30S (Perkara Untung: 99). The subject did not return in the following team meetings, which could mean Aidit rejected the idea. At a certain moment in Untung’s trial the chair of the court suddenly asked Untung “Who had the idea to overthrow the government during the meetings?” Untung answered “that idea came from all the attendants.” He quickly corrected his statement by saying that “actually overthrowing the government had never been mentioned during the meetings (Perkara Untung: 35).” However, at some point one of the witnesses was asked to speak louder since Untung had hearing problems. Thus one can imagine that Untung did not hear exactly what the chair asked him. It brings to mind a method used by police interrogators to get people to tell “the truth” i.e. what the interrogator wants to hear, by hitting them hard on the ears. However, Untung’s persistence about the president’s safety and the report to the president in the morning of 1 October at Halim make Sujono’s comment improbable. In his testimony about the G30S, Subandrio stated that General Suharto had planned to start a movement by exploiting Latief and manipulating Untung’s group when General Yani’s group still had no knowledge of Untung’s intentions. He gave no explanation for these accusations. From his exposition it becomes clear that Suharto had decided to infiltrate the G30S. Somewhere in September 1965 General Suharto asked General Yoga Sugama, member of the Kostrad Command, to ask Yani’s intelligence assistant General S. Parman, whether he had any knowledge and information about the abduction plan against them, but was disappointed. Subsequently Sugama promised to keep Suharto informed should such information become available. Apparently up to 1 October no such information reached Parman and the Yani staff, and both were fully unaware of the action that would kill them (Subandrio: 4). This comment may explain why both Untung and Latief approached Suharto before Action Day 1 October, to talk about the date and plan of action. Latief remained vague in his writings about the meeting with Suharto, as did Suharto himself, and Untung only told Subandrio about his meeting with Suharto and the man’s positive reaction to his plan. My personal inclination is to refrain from speculations and go no further than the supposition that Suharto facilitated Untung and Latief after having probed the lack of alertness on Yani’s side regarding Untung’s action. He then let the dice role until his chances and priorities became clear. Nasution’s escape became the turning point. Subandrio’s hunch is important because it shows a third line to an external authority within the G30S operation. That line was separate from the Subandrio and Aidit lines and eventually blocked these two lines and opened the road to a new order. It is unclear what would have happened if Nasution had been killed too. In that case, Untung, Subandrio and Aidit would have been in a much stronger position to reach their objectives. Whether Nasution’s escape was part of the Suharto game is unknown, but his presence at Kostrad Command definitely helped in staging his coup. He was the highest ranking military in Indonesia at the time and authorized Suharto to claim his position as Yani’s successor as adjunct army chief in light of the new emergency, and launch his coup accusation against the G30. Was President Sukarno involved in the G30S? Of course President Sukarno was involved in Untung’s operation, if not actively than certainly passively. Untung’s operation aimed at rescuing the president from an army coup and Untung broadcast that message publicly after the 7 AM News of 1 October 1965. Moreover, Untung reported to the president on 1 October about his actions, and that reportage had been planned since August 1965. Sukarno took measures against the abduction and the G30S, but did not condemn them. Hence the president was at least the benefactor of the operations. However, it is unlikely the president had any foreknowledge since the team members and the PKI did not want to inform him preemptively. 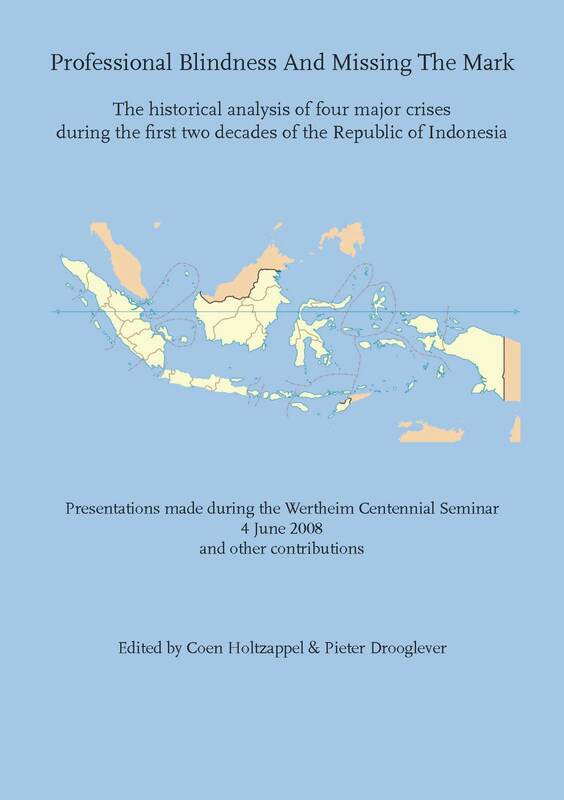 The so-called Widjanarko report raised a lot of discussion in the first years after the G30S. It was made public in an English translation and painted a picture of the G30S as a palace intrigue with the president in it up to his neck. The report contained President Sukarno’s adjutant Colonel Bambang Widjanarko statements to his interrogator about the president’s plan to dismiss commander in chief of the army General Yani. According to Widjanarko, the president had asked Lieutenant Colonel Untung on 4 August 1965, the day of the president’s so-called collapse, “whether he was prepared, if ordered, to take action against the disloyal generals,” and Untung had replied that he was (Crouch 1978: 120; Karni 1974: 14, 17-19, Dake 1973: 368-369). According to Crouch, Dake stated that on the 31th of July the president sent a telegram to PKI leader Aidit and CC PKI member Njoto with orders to return to Jakarta. Upon their return they were informed of Sukarno’s decision to act against the generals. On 23 September the president supposedly ordered Tjakrabirawa commander General Sabur to act as soon as possible, based on information from General Yani’s assistant General Mursjid and others about “a disloyal Council of Generals which opposed Sukarno’s policies”. Sabur was instructed to contact Assistant Attorney General Sunarjo to prepare a notice of dismissal and check the measure with Yani’s colleagues in the armed forces (Crouch 1978: 120-121). Untung’s and Njono’s minutes contain no information about these measures. From Untung’s minutes we know that he started his search for companions after being informed about the president’s collapse and the discussion about the durability of the president in army circles. Subsequently he and garrison commander Colonel Latief, based on their own reconnaissance, had informed the president’s trustees about the danger of the Council of Generals, to which they got no reply. It is likely that in view of the lack of solid evidence mentioned by Untung, the reports remained private. It was actually the tape recording of the so-called founding meeting of the Council of Generals forwarded by Minister Subandrio on the 26th of September that alarmed Sukarno. He invited Yani for a meeting on 1 October and General Suparman on 3 October. The G30S blocked that agenda with their failed arrest operation and the broadcast of 1 October. Actually, Untung’s own record of the time schedule of the prologue to the G30S does not substantially differ from Widjanarko’s testimony. It is conceivable that Untung concealed his contacts with the president, for instance in order to spare his boss political trouble and persecution. However, both the Untung and Njono minutes show an essential difference compared to the Widjanarko document. Untung as well as PKI leader Aidit made it clear that the president was not to be informed about the plans for arrests and the G30S out of fear that he would put a stop to the effort, and because he should not be involved in the G30S before the operational goals had been reached. It would save him from accusations of involvement and political damage. The fear of a presidential stop order appeared realistic. The president stopped the military operations as well as the planned G30S after the 1 October murders. On the 6th of October he denounced the G30S as revolutionary adventurism after it appeared that the G30S was under siege by Suharto. Although Sukarno never called the G30S a coup, he also never took measures to protect the officers who risked their lives for him. Sukarno was and remained a Jacobin who knew when and how to play the cards he was dealt. At the end of 1965, when the dismantling of the PKI and the genocide of the leftist legacy was in full swing, the president started speculating about building a new PKI. In hindsight it appears that the Widjanarko report could have led to the persecution of the president, Untung and Tjakrabirawa commander General Sabur. Suharto seems to have dropped the document because he thought it was too early for a move against the president. Besides, the Untung and Njono cases offered enough chances to manipulate the evidence and kill grass root support for the PKI and Sukarno. When Sukarno’s abdication started in 1967 the Widjanarko report did not play a role. Fear of an army coup among president Sukarno’s entourage and fundamental dissent about the correct way to rescue the PKI’s as well as the president’s legacy, threw Indonesia in the cleft of horror and mass murder. Whether there was a plan for an army coup is still unclear. Untung’s effort to put an end to the unrest failed, and under Aidit’s auspices the G30S raised suspicion about the nature of the strike against the Council of Generals. President Sukarno proved unable to solve the crisis and because of Sukarno’s relentless attack on his legacy, was unable to gather the support he needed to go through with his plans for Indonesia. In the end, conspiracy theories and conflicting interests of the president and the army led to the final clash. The year 1965 had started off hopeful with the promise of a revolution that would finally bring the army under state and political control but ended in famine, poverty and horror. The picture painted in the previous pages show that the existing Suharto coup theories fail. They lack explanations for how and why the G30S came into being, how Untung’s rescue operation was undermined, and how conflicting internal dynamics within the command team ultimately led to the failure of the rescue operation. The action as planned by Untung for October 1, 1965 was meant to protect the president from a supposed army coup, but turned out to be a dramatic failure. Literature still refers to the events with a strange mixture of confusing terms: from a palace revolution to a coup, an attempted coup or failed coup and finally as a coup by bodyguard Untung, and a communist coup. That the action may have had a different intent has never been seriously considered since the 1970s. In this chapter I have ignored all those characterizations and instead focused on the minutes from the trials: What did the accused and witnesses have to say for themselves and about Untungs and Njonos actions, their intentions and background. Untung, head of president Soekarno’s security since 1965, was considered the military leader of the G30S by the court and General Soeharto. According to the charges, Njono was the political leader. His leadership was determined by the PKIs Central Committee. Being an ex-rebel from the Madiun Affair in 1948, Untung was set by his superior and later public prosecutor Soeharto to be the military leader. In other words, Untung was the executive commander of the supposed coup and Njono the communist leader. The real course of events leading up to the social and political processes that eventually led to the G30S, was very different from what Soeharto suggested, according to both the Untung and Njono testimonies. During their trials, both had expressed the intent to refute the lies of the court in their statements. Instead of worrying about the prejudice in Crouch and Roosa’s statement that “criminals always deny their crimes”, and Roosa’s judgment that “the Njono minutes are better left unread”, I tried to organize both defendants statements in such a way that they would tell a coherent story. This way, it could be checked against existing and confirmed information about the contemporary circumstances in 1965. According to Untung, the Head of Intelligence of the palace guard had informed him in early August 1965 that there was talk in an army publication of the president suddenly falling ill. It was part of an ongoing discussion in army circles about the sustainability of president Soekarno’s position. In his My testimony about the G30S, Soebandrio wrote that the illness was just an innocent cold, but Untung spoke to colleagues from Jakarta security circles about the background of this talk. What if these discussions about the president’s position meant there was talk of a coup, and about the succession of the president? PKI leader Aidit’s assistant Sjam Kamarusaman had remarked that “if people felt Soekarno should go, then that’s what should happen”. Untung and his team members were determined to fight that idea. This led to a division in the team. Untung tried to keep Aidit’s two assistants, who were present at the meetings of his team, out of his action as much as he could. The team discussions were partially the result of tensions between Soekarno and the army leadership earlier in 1965, but also of internal issues of Untungs team. The army leadership had turned against the Nasakom program introduced early in 1965 which was supposed to lead the 1965 reformations. Untung and his men agreed with that standpoint. However, they also wanted to follow their order – research the rumors about an army coup – by executing a well-organized action against the generals who they would bring to the president unharmed. Aidit and his assistants could only be in the way of such an action. As early as May 1965, Aidit had been critical of an army workshop held in late April in which the Tri Ubaja Sakti (TUS – Three Mandates) doctrine had been discussed. According to that doctrine, the army had three tasks: Standard defense against foreign subversion, defense against internal subversion, and guiding and guarding the population in war time. The president had accepted the doctrine as instrumental in the planned attack against northern neighbor Malaysia. The doctrine centralized a system that already had been in practice for many years in production and export regions: A double function of the army that included protecting rice cultivation and consulting the population. Apart from a small hiatus between 1962 and 1964, there had been a state of emergency since the regional uprisings of 1957: Controlling internal subversion as a result of foreign subversion in production and export regions, as well as communication with the local population, had become core tasks of the army. The PKIs unions work in those regions was considered internal subversion. Both the army and the PKI were in daily contact with the local population via guidance committees and thus competitors. The TUS doctrine centralized the overseeing and directing of those committees. During the 1965 reformations communication between parts of the government and the political parties was to be led by Nasakom teams. Those two trajectories were getting in each other’s way. To complicate matters further, the army leadership was against using Nasakom teams. Using them, they argued, was proof that one of the goals of the reformations was to solidify and acknowledge the role of the PKI in the political system, which was undesirable. Unfortunately for Aidit, Untung and his men did not want to cooperate. They were on a secret security assignment and refused any form of cooperation with Aidits assistants. That is, until they received orders from higher up to work with Aidit and his assistants at the end of September. These orders did not come from generals who were secret members of the PKI or sympathized with that party, but from veteran, professional generals who shunned the PKI. In cooperating with Aidit and Untung they saw an opportunity to compromise both sides and attempt to seize power in order to free Indonesia from a left wing president for good. In other words, a repeat and final conclusion of the 1948 Madiun affair. Soeharto and the garrison commander of Jakarta aspired to be key figures in this coup. Up until that point, neither had given any real signs of political involvement. But from the end of September they showed their true colors and the battle was on against the PKI and the Madiun rebels pardoned by Soekarno. Soeharto actually called it Operation Madiun in private. Untungs search for clues of an army coup took place amongst heated discussions and Untung was determined not to be influenced by those. 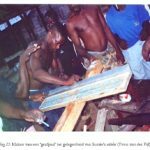 This was another reason for Untung to refuse cooperation with Aidits assistants, who had approached him with a proposal for restoring Nasakom as a symbol of politics and armed forces. Instead Untung focused on his orders to find out the truth about an army coup. He mainly focused on the army leadership in the circles of army leader Yani and general Nasution, minister of Defense and Security. The curious thing about focusing on Yani and his staff was that it was common knowledge that they were loyal to the president and politically neutral. Looking at them closer reveals that all of them were in favor of a Western oriented model of ideology free professionalization of the armed forces, and the army in particular; exactly what Aidit was fervently against. Aidit was old fashioned in this respect, a child of the pre-war left wing struggle against the colonizer. He refused to acknowledge what Western trained Yani did for the postwar construction of Republican armed forces. He also ignored Japanese Peta influences and other Japanese organizations, while Soeharto was trained in those during the Second World War. As becomes clear from Njono’s testimony, by the end of August 1965 and after three weeks of intense debate led by Aidit, the CC PKI Politburo had decided not to support Untung and his men. Untung was fervently against cooperation, after all. Instead, a letter was sent by the CC PKI Politbiro to president Soekarno about the danger of a generals coup, with the request to handle it personally and swiftly. The PKI never received a reply. Possibly the letter was intercepted before it ever reached the president. Aidit did not involve himself with Untung while awaiting a response to his letter. Untung continued looking for reinforcements of his troops in August and September. Previously he had his own palace guard battalion at his disposal, as well as the 1st Infantry Brigade from the Jakarta garrison led by colonel Latief, a member of Untungs team. These units were supplemented with troops from the military airport Halim under air force major Sujonos command. These three units were definitely not cores of communist infiltration; they were the heart of the presidential security system. Admission into these units meant a thorough investigation of a recruits political and military history. The palace guard especially, but Latiefs and Sujonos units as well, were furiously opposed to communist influences. So in reality, these three units formed the inner three circles of presidential security. The cooperation was not the result of Untungs search for support, as is widely suggested by Soeharto and Western literature about the G30S. On the contrary, it was an indication that Untungs operation put the presidential security system on high alert. The affairs concerning Untung and Njono make clear that the president was not always asked for permission before actions. From the minutes, it appears that until October 1, Untung did not have solid evidence against the generals and was debating whether it would be fruitful to bother the president with unsubstantiated suspicions of a coup. However, by late September 1965 anonymous initiatives kept the case against the generals going. Apparently Untungs investigation was not as secret as he would have liked, as even members of the National Front appeared to know about it. On September 26, a group of four National Front members presented a recording of the founding assembly of the Council of Generals on 20 September 1965. The voices of general Yani and general S. Parman were clearly audible. It is unclear from Untungs minutes how this recording came into existence. If it was a fake, it was clearly the work of a professional intelligence service. Untungs mentor, minister Soebandrio, was suspicious of the recording but still delivered it to the president. After listening to it, the president asked to see Yani and S. Parman in separate meetings; Yani on October 1 and S. Parman on October 3. On September 28 and while Untung was away for work, a complete switch of goals and approach took place within the team. The generals were to be assassinated and disappear, and PKI leader Aidit was asked to write down his thoughts about the political and governmental future of Indonesia and submit them to the president. After returning, Untung accepted these changes without debate. The chairman of the court asked Untung why he ‘went along with that’. Untungs reply was that parts of the new plan seemed useful to him in his action against the generals. He was not interested in the formation of a Revolutionary Council in order to execute a complete political reformation under Nasakom. However, he was interested in removing supporters of the council of generals from cabinet and parliament. Untungs response to the changes is interesting because up until that point, he was fervently against killing the generals and working with Aidit, and he was supported in this by his military team members. So why would he and the others suddenly take the bait, when surrendering the generals to the president was regulatory correct and the only civilized solution in light of the lack of evidence against them? Even without proof, the president could still consider how to handle this situation. Whatever the reason, Untung accepted the changes without protest. It appears that the anonymous suggestions were actually orders that had to be followed. And they were. On September 30 the details were finalized and the operation was named 30 September Movement. On the night of September 30 Untungs team member Latief visited general Soeharto. The next day, Soeharto and his friend and colleague general Umar Wirahadikusuma got together in Soeharto’s office and received reports about the day. Commanders from the Jakarta region also stopped by to discuss advancements. Untung received their verdict, which deemed the G30S counter revolutionary, by anonymous telex that afternoon. The game was over. From the anonymous intervention in Untungs operation, the meeting between Latief and Soeharto, and Soeharto’s meeting with the commanders it appears there was a clear line of action. At first, Soeharto supported Untung and his men, but the lack of solid evidence against the generals caused him to intervene and turn it into a direct attack on the army leadership. Finally, Soeharto and his ad hoc inspection committee intervened when on 1 October the president postponed judgment during his discussion with General Supardjo who reported to him about Untung’s action. and put a stop to the operations, while Aidit still went ahead and had Decree No. 1 broadcast by Radio RRI Jakarta. This Decree announced the assembly of the military 30 September Movement which would erect a Revolutionary Council in order to get rid of supporters of the council of generals in government and regional governments, and restore democracy through general elections. That broadcast was apparently what Soeharto and his group were hoping for. The prosecutor later judged that the text was “old news” and referred back to the situation of the mid-1950s. However, since there was a presidential system in place since 1959, and the decree was calling for a different system which appeared to have the support of executive troops, this movement had to be stopped forcefully. First by anonymous telex to Untung, then via a coup accusation broadcast by Radio RRI Jakarta. In both texts, Soeharto distanced himself from Untung and his men and began his take-over. Untungs team fell apart and Sjam en S. Pono went into hiding. Aidit was put on a plane to Jogyakarta, but he did not find a safe haven there. Suddenly, Aidits popularity had abandoned him. He found himself in the position of refugee and wanted man. He was executed by army troops while on the run after a few weeks. In the meantime, Soeharto had seized power. It is worth mentioning that president Soekarno did not get involved in the conclusion of the G30S affair and did nothing to stop the murders that started with Soehartos consent. During the October 6 cabinet assembly the president denounced the G30S as counter revolutionary, thereby endorsing the earlier verdict of the Soeharto committee. Soekarno did make some ironic remarks about Soehartos coup accusations. He declared those to be nonsense. In late 1965 Soekarno proposed the establishment of a new PKI. In short, the president was as ruthless as he had been in 1948, but this time he did not gain any support for his proposals. Looking back, there are two main conclusions. First of all, the Njono minutes give sharp insights into the events leading up to 1 October 1965. At the end of August 1965, the CC PKI Politburo distanced themselves from Untungs action and refused cooperation. They also sent a letter to president Soekarno warning him against the council of generals, with the request to take the matter into his own hands and act swiftly. The Politburo sent a copy of that letter to the 10 main Nasakom parties and as a result Untung did not gain political support for his action. Untung however was not waiting for that; on the contrary. The Politburo no doubt had it in the back of their minds that Untungs action could be stopped by the president. Aidit stuck to the decision made by the CC PKI Politbiro on August 28 and did not take action until late September. His assistants did not do anything either. This is clear from the haste with which a political program was developed and discussed between 28 and 30 September, and the panicky discord and discussions between Aidit and Sjam about the list of Revolutionary Council members. In short, Aidit and Sjam were completely unprepared for the events that were pressed on them late in September 1965. They were waiting for a letter from president Soekarno that never came. It was the attitude of neat, civilized people who did not want to ruffle any feathers. Decree No. 1 and the two ordinances should be considered last minute products. Interestingly enough, it is clear from reactions to the broadcast of the second version of Decree No. 1 on October 1, that radio and newspapers were counting on publication of the text as prepared for the president. However, the president rejected the first version for direct publication. Aidits urge to broadcast a second version after the president had postponed judgment of the first version, may have something to do with the fact that Aidit was informed by Sjam that people across the country were waiting for his text. By trusting Untung, Aidit may have made the mistake of broadcasting a second version, perhaps in the assumption he had the support of the president and that Soeharto – being Untungs superior – was not a threat. So Soeharto’s turnaround came after receiving the broadcast of Decree No. 1. This was not just Soehartos doing, it was the ad hoc committee that together with Soeharto and the Jakarta commanders acted on Untungs reports. It was this commission that developed further initiatives. This committee was not a permanent one, it existed for the occasion and did not make any public appearances as such. Soeharto spoke also for the others after he had been given permission to do so. In conclusion, it is clear that the minutes from Untung and Njonos trials contain valuable material and merit a reconsideration of the events of October 1, 1965 in Jakarta. They reveal an official security operation by the palace guard and a political operation by Aidit that goes against the CC PKI Politburos decision to not support Untung. 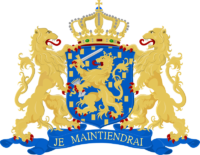 The minutes also show Soehartos take-over of Untungs original action against the army leadership, by turning it into a full scale attack on them. All of this information could have been made public before, if Western researchers had not indiscriminately bought into Soehartos scathing dismissal of the minutes as lies and nonsense. This last observation demands further research into the ignorance history of existing literature about the G30S. In my experience of working on this case for over 30 years, the communists have always displayed disdain and dislike for these trial minutes, and apparently Western researchers have incorporated this view in their work. I hope there will finally be an Indonesian investigation of the minutes. They were published at the time because the editor felt they should be read by the Indonesian people. It is about time that finally happens.